The draft action plan sets out the Government’s proposed strategy to address the gaps in existing provision of transport services. Rail Minister Paul Maynard says in the foreword: “People with disabilities have the same right to travel independently as anyone else” and goes on to say he is committed to “delivering a transport system that works for all”. But he is the one who is pushing through the plans to make trains in England Driver Only Operated (DOO). 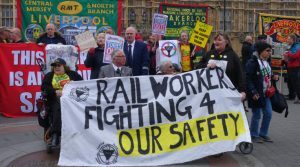 The House of Commons Transport Select Committee report ‘Improving the Rail Passenger Experience’ in October 2016 has already said “We are concerned that no official impact assessment has been made of the potential effects of DOO on disabled people’s access to the railway.” Now is the time for passengers to have their say. “Under Driver Only Operation passengers would face greater requirements to book in advance, possibly facing additional travel restrictions, which would represent a move away from the current goal of making the railway more accessible for all.” – Rail Safety Standards Board (RSSB) report ‘Evaluating technological solutions to support driver only operation train dispatch’ March 2015. “It is Conductors who are best placed to ensure that assistance is delivered effectively and in accordance with the law. 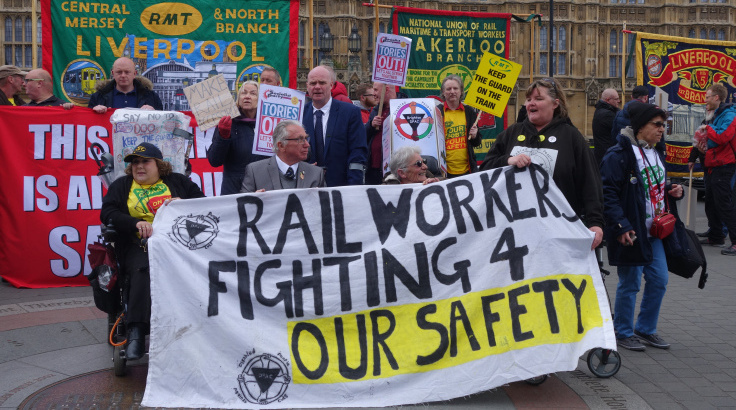 In the event of an emergency Conductors can also deliver the railway’s duty of care to assisted passengers and other older and disabled people….There should always be on-board staff available to assist passengers at unstaffed stations.” Supressed report for the Rail Delivery Group, On Track for 2020? The Future of Accessible Rail Travel 2015 (only released in August 2017 after leaked to press). “We are concerned that no official impact assessment has been made of the potential effects of DOO on disabled people’s access to the railway.” The House of Commons Transport Select Committee Improving the Rail Passenger Experience, October 2016. Please Email AAPConsultation@dft.gsi.gov.uk today and let the government know how you feel as an individual. “I am pleased you recognise that one in every five people in the United Kingdom has some form of disability or access requirement. However if you are determined they should be able to use the transport system and particularly trains, with confidence and ease then you should not be introducing Driver Only Operation. I believe if the transport system is genuinely going to be ‘open to everyone’ then for people with physical and hidden disabilities to have the same access to transport, and opportunities to travel the same as everyone else, there must be a guarantee of more than just a driver on the train. Support Disabled People’s Right to Ride! On this Thursday 20th July TSSA and DPAC members and supporters will be travelling together en masse to the Department for Transport’s headquarters in London to deliver a petition demanding the right to ride. This is a part of DPAC’s week of action – to coincide with the holding of the para-athletics championships in London. Assemble outside the Department for Transport at 2pm.